Guilds stunt coordinator Brendan Condren coordinated upcoming feature film The Sea. 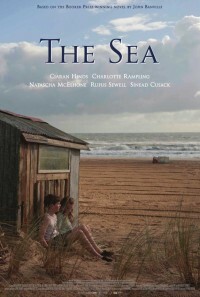 The Sea is adapted from John Banville’s Man Booker prize-winning novel of the same name, The Sea follows Max (Hinds) who, after the death of his wife, returns to the sea where he spent his childhood summers, provoking a cathartic reflection as the present draws out powerful memories from one fateful summer many years ago – memories of innocent joy, uplifting warmth but also of profound tragedy. Only an unforeseen revelation will provide a path to redemption and closure. Brendan was joined by Tony Condren, Norman Kelly and Gee Nagys.